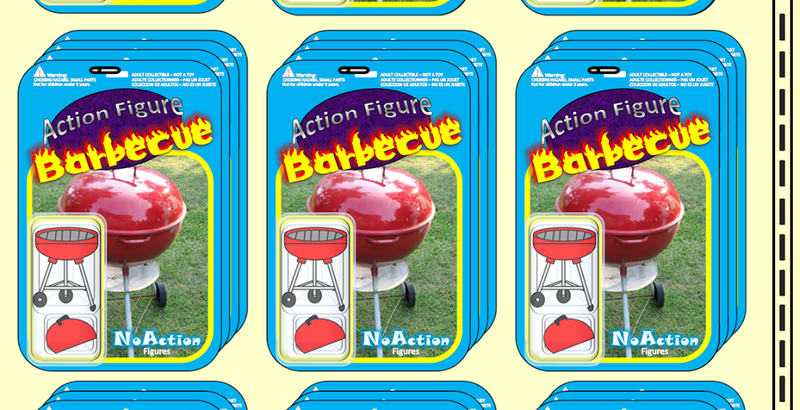 Action Figure Barbecue: The Revenge of 31 Days of Toy Terror: Henry Bemis (Now in Color!) from The Twilight Zone by Bif Bang Pow! The Revenge of 31 Days of Toy Terror: Henry Bemis (Now in Color!) from The Twilight Zone by Bif Bang Pow! "Witness Mr. Henry Bemis, a charter member in the fraternity of dreamers. A bookish little man whose passion is the printed page but who is conspired against by a bank president and a wife and a world full of tongue-cluckers and the unrelenting hands of a clock. But in just a moment Mr. Bemis will enter a world without bank presidents or wives or clocks or anything else. He'll have a world all to himself, without anyone at all." * While the basic The Twilight Zone figures were released in grayscale, reflecting the black and white television series, Bif Bang Pow! 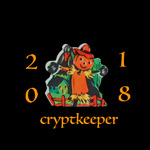 released some special sets in color. Personally I'm not a big fan of grayscale toys so I sprung for the versions that would fit in better with most other faux retro figures. For just being "a guy in a suit" Henry actually looks fairly unique. The cut of the suit, the way his pants are hiked up, and the way his tie hangs down over his waist really makes this feel more specific to the character rather than just feeling like a Henry Bemis head on a standard suited body. Considering that Bob Wilson, another "guy in a suit" was released in the same series, it's amazing that Bif Bang Pow! used completely different sculpts for these characters. * Considering that this is a 1/18th scaled figure that is supposed to resemble a 1980s Kenner styled figure, the headsculpt isn't bad at all. It's not a perfect likeness of Burgess Meredith but it does do a pretty solid job of capturing Henry Bemis' likeness. I do wonder if the character's broken glasses should have been incorporated into the figure's sculpt, though. * While the quality of Funko's ReAction figures really varied from series to series, the Twilight Zone figures all feel very solid and well made. They capture the retro vibe nicely and feel like actual toys, not just "collectibles." Of course, Henry movies in the classic five places that you would expect. * To keep him distracted Henry includes two books. They feature paint applications for the pages and can fit in his hands. It's pretty cool to have more action figure sized books (one of my favorite toy accessories) so these are definitely a plus. * The back of one of the books has some very sloppy paint apps. The white for the pages somehow got splattered all over the book. If you're familiar with the story or the Twilight Zone episode "Time Enough at Last" then this is a pretty cool figure. If you're not, this is just a figure of a dude in glasses holding some books. Giving Henry Bemis some broken glasses definitely would have helped to have made the figure stand out more but, as it is, I think Bif Bang Pow! did an admirable job in translating the figure into this smaller scale and retro themed style. Henry Bemis is a Good figure and, probably due to the strength of the original episode, he seems to be one of the tougher figures from this series to track down. The first time I watched this episode of The Twilight Zone, I found myself thinking: why hasn't the radiation killed Burgess Meredith? Back then I had a phobia of nuclear war or, more to the point, surviving a nuclear war and finding I'm all alone. A good Twilight Zone episode definitely leaves you with lots and lots of questions for sure. Generally speaking, all the Twilight Zone episodes left their mark on me, whether it was making me sit quietly for hours on end thinking about what happened in the story or laughing at some dark bit of humor. Should Bif Bang Pow! make an action figure of Bruce Willis from "Shatterday" or are there already enough Bruce Willis figures in the world?